Klaus K Hotel. Design hotel in the city center with spacious rooms and tasty breakfast buffet. You can book it here. Kappeli. Traditional restaurant (150 years old in 2017!) with beautiful interior and delicious menus. There are a lot of restaurants along the Esplanadparken park. Well-known Finnish/Swedish dishes are e.g. Graavilohi/Gravlax = graved salmon, Savusilakka/Böckling = smoked herring, Näkkileipä = crisp rye bread, Korvapuustit = cinnamon rolls. You can also try reindeer or moose meat. Visit the house and studio of Finnish architect and designer Alvar Aalto. You can also visit the Akateeminen bookstore by Aalto. Shop Finnish design and more accessories at the Artek shop, the Iittala store or the Marimekko boutique. 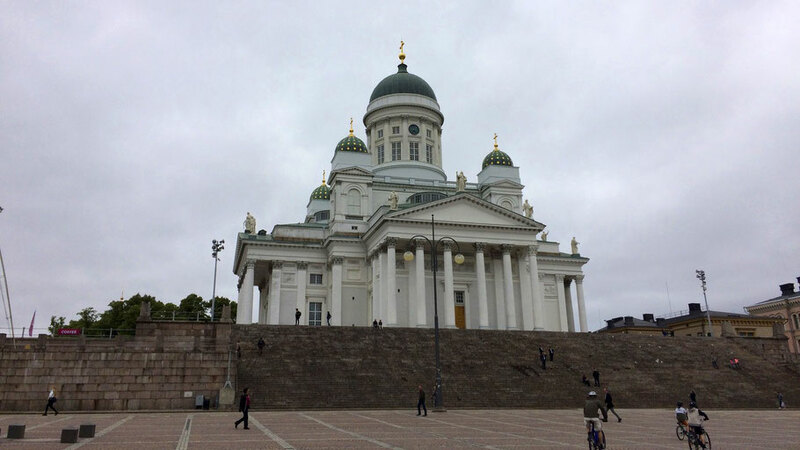 Take a walk along the harbor with its market square and pass by the Helsinki Senat Square "Senaatintori". Turku was the capital of Finland in the past and lies at the Western coast, a 2-hour ride away from Helsinki. There are nice cafes and shops along the Aurajoki river, e.g. Tiirikkala. The library and the library bridge are also worth seeing.